As a boat captain, Danny has been involved with some of the finest rigs out there, so anyone who wants to ask a question relating to the operation of these giant fishing machines is welcome to comment below. Danny will answer as soon as he can. It starts at the beginning, with a plan. Roddy, here's the plan of the new boat. I'll post some photos up with comments as we go along. Hope you enjoy the ride ! Building a new custom sportfishing boat is a lot like building a custom home. You spend a lot of time researching builders and their reputations, most of which are very good, and this makes choosing one over the other difficult. Now keep in mind in the boating world that 'cheap is never very good'. And good is never very cheap. You therefore need to have your head wrapped around the fact that a custom boat - as with a custom home - is not going to be cheap to build. If you try and cut corners in the building materials, labor and equipment that will be going into the boat, you will regret it. Having a good full-time captain to oversee the build is a very big plus as well. 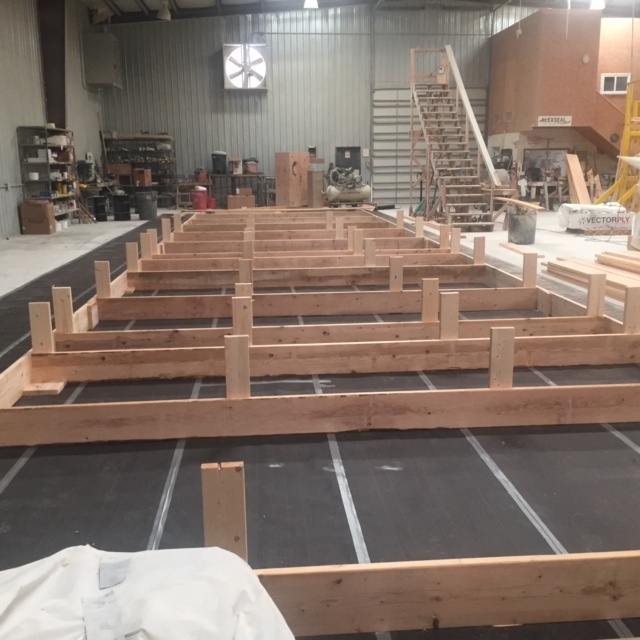 You also need to keep in mind that there are a lot of different construction methods such as solid fibreglass, glass over foam, glass over plywood, and glass over frame and plank. All of these construction processes are very good and will give you a good boat. 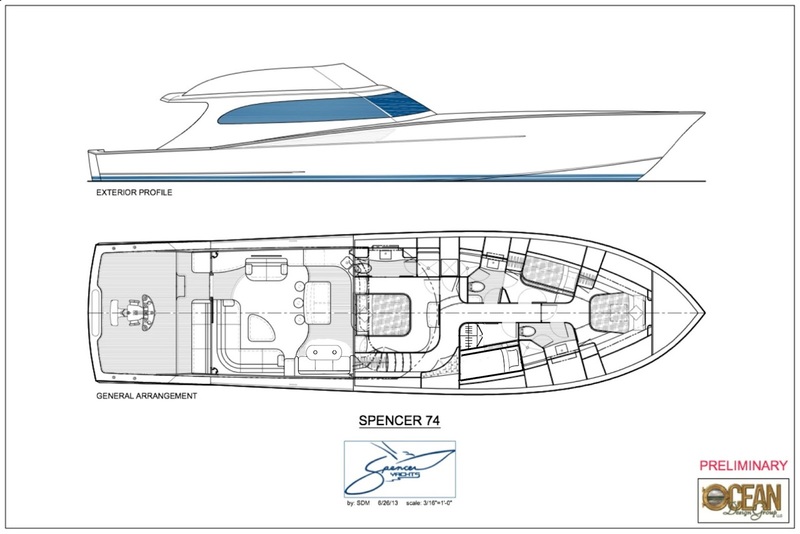 After looking at all of our options we chose SPENCER BOAT WORKS in Manteo North Carolina. Paul Spencer has been building boats now for 15 years and has a reputation of building one of the best-riding boats in the business. As with most of the top builders, Spencer Boat Works has evolved with the times and new technology. They are always striving to build a stronger, lighter, more fuel-efficient boat with the best materials available. The construction process that Spencer uses is called 'cold molding', which uses the 'glass over foam' method. Once you have decided on a length, power, fuel capacity, water capacity and layout of your new build, a set of plans are drawn up and the build process starts. In today's world of computer technology the whole boat, inside and out, is drawn in 2D and 3D, giving you a life-like idea of what the finished product will look like. After you approve the drawings the build starts to take shape. The first step in the construction of a new boat is having the jig cut. This is done buy a computerised cutter called a CNC machine. This machine cuts out of plywood a jig based on a blueprint that will give the boat its shape. After the jig has been cut, it is shipped to Spencer’s hull-shop to be put together. 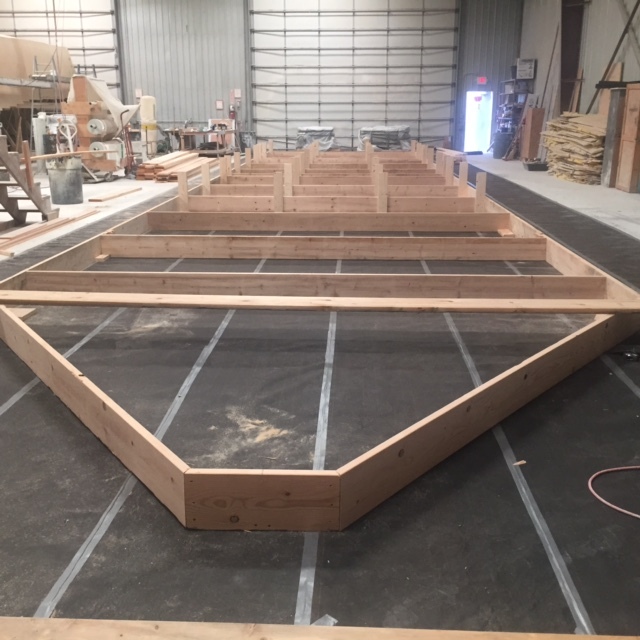 I have put together some week to week photos of our build that is currently underway at Spencer Boat Works and I will update the pictures weekly as the build continues. Setting up the jig for the frame. Wow! Spencer looks amazing and the design is extraordinary. I love how you just written this one. Thanks for sharing this one. Keep blogging.